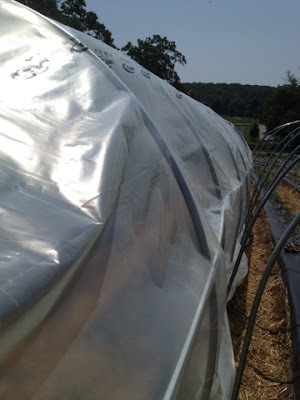 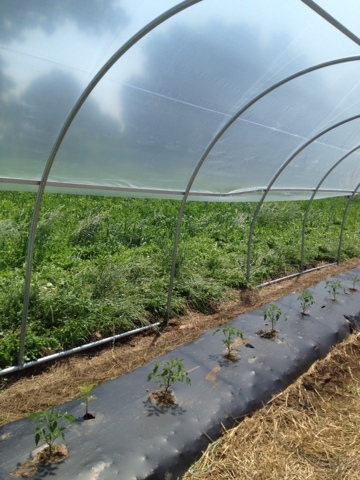 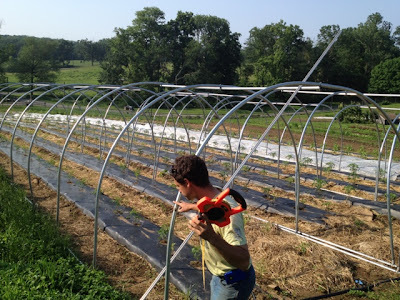 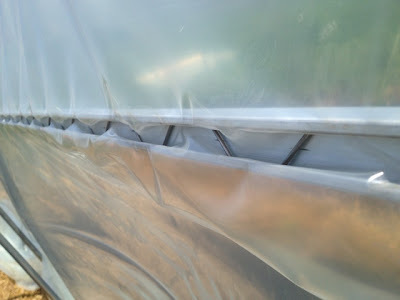 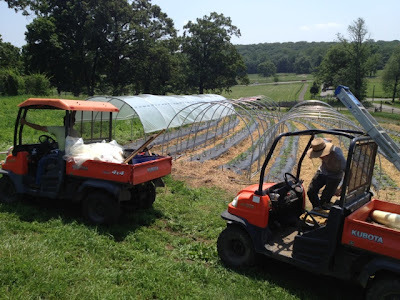 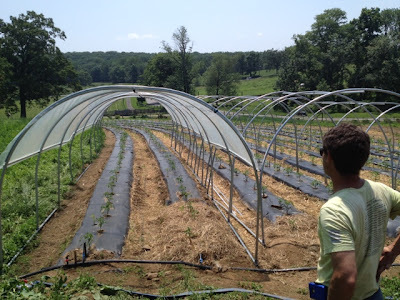 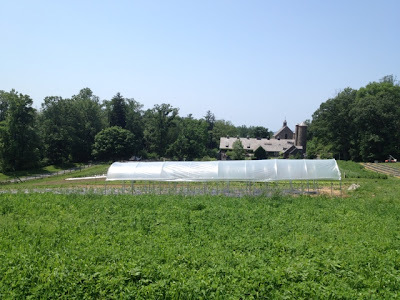 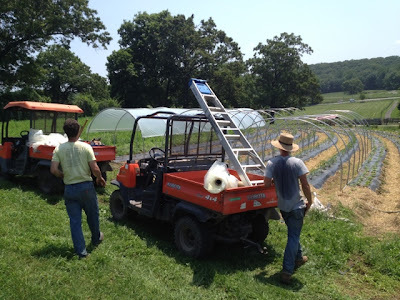 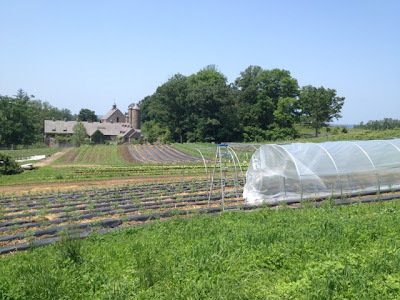 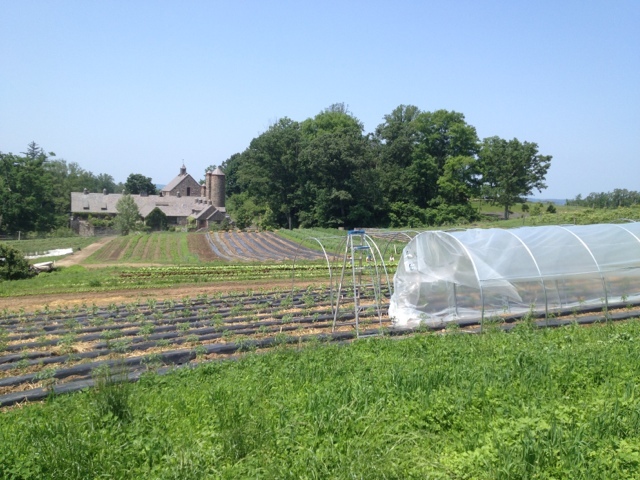 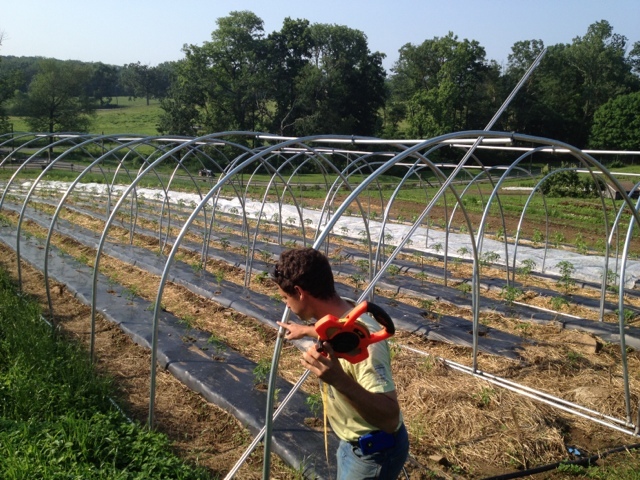 This season a portion of the field tomatoes will be placed under these easy to put together hoop houses. The hoops are made from aluminum channel, steel poles and polyethylene covers which should last around 5 years. The idea is to compare tomato yield and health during the summer seasons for tomatoes in the hoops and those that aren't.